Does your gum bleed every time you brush your teeth or bite into apple? Does your partner or friend complain that you have bad breaths? Do you see any discolouration or build ups around your teeth and your gums? Do you feel any wobbly teeth in your mouth? You might be affected by severe gum problems. Periodontal disease, also known as gum disease, is an infectious disease of your gums caused by the build up of dental plaque. are usually the cause of gum recession and bad odors in your mouth. They need to be removed professional by a dentist by professional instruments on a regularly basis. The most common type of gum disease, and also the mild form, is called gingivitis. Gingivitis is an inflammation of gum in response to dental plaque and calculus. If affected by gingivitis, gum often appears red, puffy and swollen, often bleeding after brushing and sometime bad breath. The is often a warning sign that there is a need to implement oral hygiene practice and a quick and easy professional cleaning to keep gum disease under control. However, when gingivitis is being overlooked, it will progress and become more severe. Masses of bacteria often find ways to separate the connection between gum and teeth and creates a gum pocket, after that, bacteria could live in the base of the gum pocket quickly grow in size and become very vicious. Not long after, it could take over the local immune system, eating away job bones and causing gum recessions. Severe gum recession and bone loss can cause teeth to become wobbly and sore and even loss of teeth. The progression of gum disease are also affected by smoking, diabetes, genetic susceptibilities and lots of other factors. 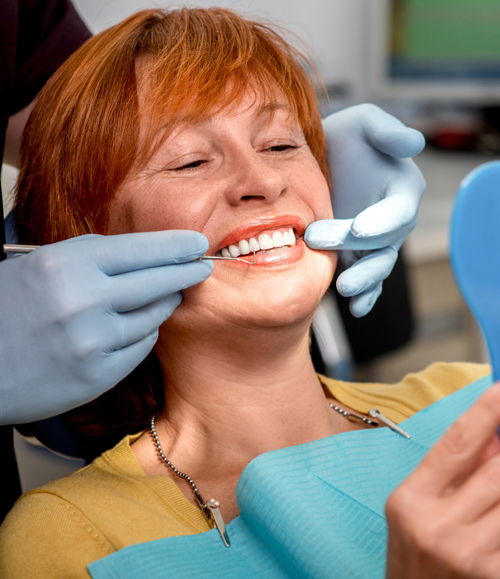 Depends on the severity of gum disease, your dentist might recommend to perform deep cleaning for your teeth over several visit, and often with the use local anaesthetics to make sure the cleaning is carried out in the most comfortable manner. After completing deep cleaning, regular 3-6monthsly hygiene review appointment will be scheduled to make sure gum disease will not progress out of control again. Gum disease is a chronic disease and require regular hygiene maintenance. Lara Village Dental will do our best to maintain your healthy and functional teeth for as long as possible, and hopefully for life.